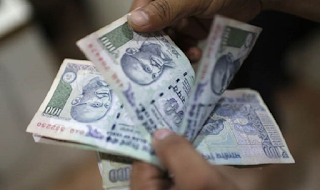 New Delhi, Apr 6: The government has formed the Committee on Allowances in July last year to look into the provision of higher allowances other than dearness allowance under the 7th Pay Commission. But the Committee on Allowances led by Finance Secretary Ashok Lavasa is yet to submit its report to the Finance Ministry. The Committee on Allowances will hold another meeting today (April 6). This would be the conclusive meeting between the Committee on Allowances and representatives of the central government employees’ unions on hike in allowances as per the 7th Pay Commission. As many as 13 meeting have been held between the Committee on Allowances and the central government employees’ unions so far on higher allowances under the 7th Pay Commission, but no consensus could be reached. Speaking to reporter, Shiv Gopal Mishra, national convenor of the National Joint Council of Action (NJCA), said he is hopeful that some major decisions will be taken in the meeting of Committee on Allowances on April 6. There have been reports that the Lavasa panel had submitted its report on higher allowances as per the 7th Pay Commission recommendations. But the Minister of State for Finance Arjun Ram Meghwal, in his written reply to Lok Sabha on March 10 about the 7th Pay Commission, denied those reports. Meanwhile, Shiv Gopal Mishra demanded the Centre to implement higher allowances along with arrears from January 2016. Centre is yet to confirm whether the allowance would be hiked with retrospective effect, considering its impact on the exchequer. “Government had allocated Rs 1 lakh, two thousand crores for implementation of 7th Pay Commission. That amount has not been completely spent. Even if they will provide us arrears on allowances from January 1, 2016, I believe the cost would not exceed beyond the amount allocated,” Mishra said. The 7th Pay Commission had recommended abolition of 51 allowances and subsuming 37 others out of 196 allowances, which triggered resentment among central government employees. The major point of grievance among central government employees was the reduction in Housing Rent Allowance (HRA). The Committee on Allowance may suggest to raise HRA to 30 per cent of the basic pay as against the 24 per cent recommended by the 7th Pay Commission. Finance Secretary Ashok Lavasa is yet to submit its report to the Finance Ministry. The Committee on Allowances will hold another meeting today (April 6). This would be the conclusive meeting between the Committee on Allowances and representatives of the central government employees’ unions on hike in allowances as per the 7th Pay Commission.